The European Union is inconspicuously but determinedly threatening to reevaluate bilateral ties with Israel if the Netanyahu government fails to make progress toward a two-state solution and continues its current policy of allowing construction beyond the pre-1967 lines. The EU’s new policy has gone largely unnoticed due to this summer’s Operation Protective Edge, but EU officials are already busy at work on a set of sanctions against Israel that Brussels could enact whenever the union’s political echelon gives a green light. Indeed, some in the EU are currently considering implementing a mechanism that would immediately penalize Israel for every step deemed unhelpful to the peace process (such as settlement expansion), a senior European diplomat told The Times of Israel. 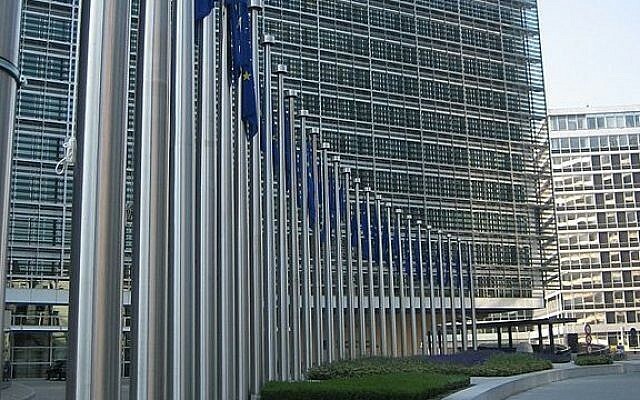 On July 22, in the middle of the 50-day war with Hamas, the 28 EU foreign ministers issued a joint statement that was widely seen as pro-Israel, as it condemned indiscriminate rocket fire against Israeli civilians and called for the disarmament of all terrorist organizations in Gaza. Even the Foreign Ministry in Jerusalem praised the EU for the statement. However, the text also severely criticized Israel, as the EU has in the past, for various policies vis-à-vis the Palestinians, including continued settlement expansion, “settler violence,” the “worsening of living conditions for Palestinians,” house demolitions, “evictions and forced transfers” and “increasing tensions” at the Temple Mount. Critically, the joint statement went on to say that the future of bilateral ties is conditional on moves the EU deems helpful to achieve peace, marking the first time such a linkage was mentioned so explicitly. “The EU underlines that the future development of the relations between the EU and both the Israeli and Palestinian partners will also depend on their engagement towards a lasting peace based on a two-state solution,” the joint statement stressed. 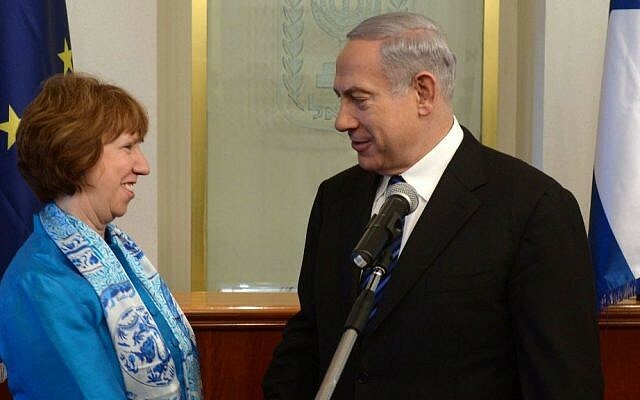 Last week, a spokesperson for EU foreign policy chief Catherine Ashton used a similar formulation in a press release condemning Israel’s decision to advance construction in Jerusalem’s Givat Hamatos neighborhood and to allow Jews to move into houses in Silwan. Both areas are located beyond the pre-1967 lines. “We stress that the future development of relations between the EU and Israel will depend on the latter’s engagement towards a lasting peace based on a two-state solution,” the recent statement read. The juxtaposition of Israel’s ties with the EU and Jerusalem’s will to establish a Palestinian state sounded like a threat to some. For the time being, it should be stressed, the EU has no intention of cutting ties with Israel, nor does it intended to enact very harsh sanctions right away. However, there is little doubt that the union and its 28 member states are becoming increasingly fed up with issuing condemnations whenever Jerusalem announces new plans for construction in East Jerusalem or the West Bank, without being able to do anything about it. Therefore, EU officials have started working on mechanisms to impose penalties on Israel, the senior European diplomat told The Times of Israel. The plan under consideration is to respond to every Israeli action deemed detrimental to the peace process by implementing a step that would hurt Israel, the diplomat elaborated. How would this work? The EU has long insisted that existing EU legislation needs to be implemented, which in many cases is not yet the case. If Jerusalem were to approve another building project in East Jerusalem, for example, the union could opt to introduce a labeling regime for products from West Bank settlements. Brussels argues that EU law requires such labeling, but the EU has hitherto refrained from implementing a labeling regime, partly so as not to disturb US-brokered peace negotiations with the Palestinians. 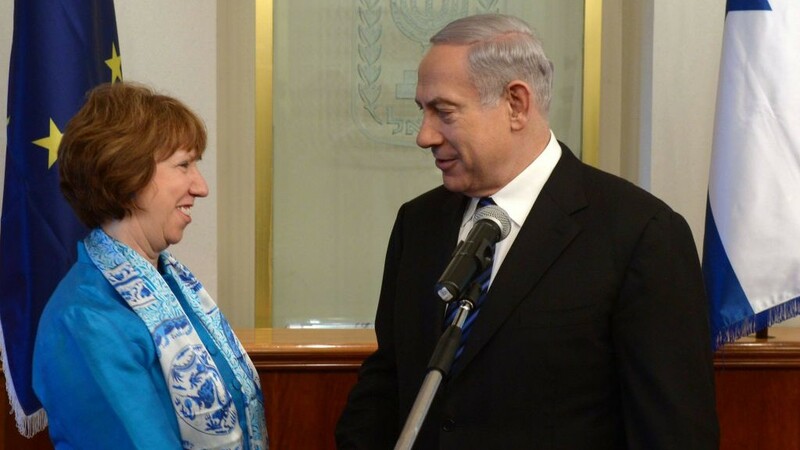 But now that the talks have broken down, and Israel continues to build beyond the Green Line, there is very little that would hold the EU back from requiring such labels on all settlement goods imported to Europe, the diplomat indicated. 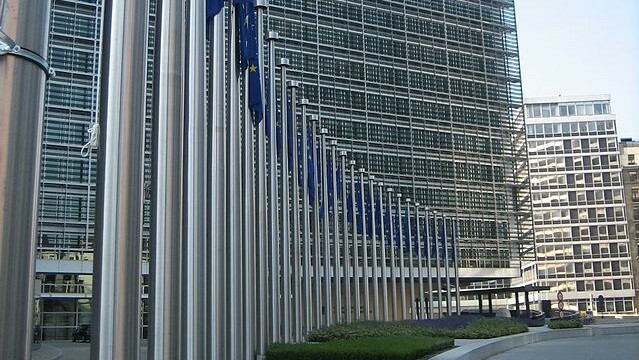 While concrete sanctions might not be announced at the meeting of the EU’s foreign ministers on October 20 in Luxembourg, the details of possible punitive measures (such as labeling) are currently being discussed in several working-level meetings in Brussels, the diplomat said. Once the bureaucratic work is completed, the union’s political leaders could implement such measures at a time of their choosing. The EU is not only brandishing the stick; it is also offering carrots. Were Israelis and Palestinians to make peace, the EU has promised to grant both parties a “Special Privileged Partnership” — a significant upgrade in ties that would include financial, political and security assistance. Several of these measures were already decided upon by the EU’s foreign ministers in 2012, the ambassador said. Some smaller member states have already indicated their desire to sanction Israel if the peace process doesn’t advance to their liking. Last month, Finnish Foreign Minister Erkki Tuomioja warned Jerusalem that trade and other relations might suffer if the peace process doesn’t advance at a satisfactory pace. The EU has offered enough carrots, he told Haaretz, adding that “it also seems that it needs the possibility of sticks. If there is no progress, [Israel] has to be shown that there are costs involved in the stalling,” he said. 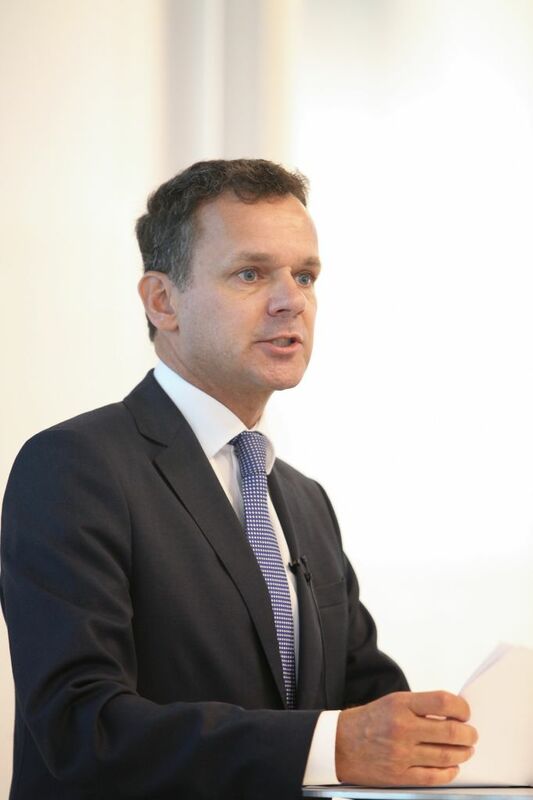 A few days later, the foreign minister of Denmark, Martin Lidegaard, similarly threatened “new steps, including a change in our trade relations with Israel,” in case the ceasefire negotiations with Hamas in Cairo didn’t go the way the Europeans expect. Prime Minister Helle Thorning-Schmidt later clarified that Lideggard’s statement reflected his private opinion and did not represent the government’s position. “I don’t think this will be discussed in the EU,” she said. But if Jerusalem continues with its current policies towards Palestinians and settlements, it will be only a matter of time before the EU and its member states decide to reassess the future of bilateral relations with Israel, including the implementation of some type of sanctions.